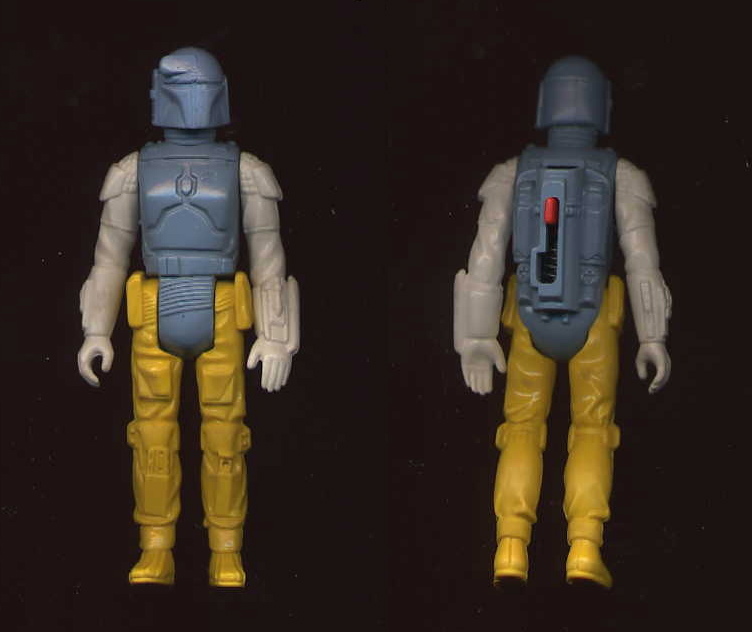 Most of the L-slot rocket firing Boba Fett prototypes that have wound up in collectors hands are unpainted and all blue. It turns out that precious few of the legendary RocketFetts were shot in different color plastics such as the one pictured above with white arms and yellow legs. Its struck from the same molds as the standard L-slot, and also shares the common charactistic of no copyright info imprinted on the leg. This is the only known sample struck in these colors.